Overwatch League scores for the Feb. 14 games are below. The newest season began Thursday featuring returning teams and the newcomer Hangzhou Spark. In case you weren't able to catch the matches as they aired, here are all the scores. Thank you for watching the opening day of #OWL2019! This was just the start. Tomorrow, we’re back at 4pm PT for more. The Philadelphia Fusion and London Spitfire had a rematch after their last game at the ​Overwatch League grand finals, in which the London Spitfire easily took the championship. Surprisingly, however, the Season 1 champions struggled in the first two maps. When London secured the third map, Volskaya Industries, fans believed a reverse sweep was on the way -- but the Fusion held the Spitfire's payload rather close to spawn in Rialto and didn't break a sweat taking the fourth map and winning the match. The New York Excelsior did not run some of its DPS powerhouses like Park "Saebyeolbe" Jong-ryeol or Kim "Pine" Do-hyeon, but it didn't need to with the league's MVP Bang "JJoNak" Seung-hyeon on Zenyatta. Kim "MekO" Tae-hong was also key in the team's victory as he played Sombra for almost half of the series and landed perfect EMPs. The Uprising looked strong on Numbani, especially with its new tank player ​Cameron "Fusions" Bosworth, who had impressive plays, and went on to win the map after a few rounds. Map 3, Horizon Lunar Colony, ended in a draw for both teams -- which meant everything was on the line on Route 66, the last map. After a couple of challenging fights, the Excelsior took Route 66 and won the series. The match up between Seoul Dynasty and the Gladiators was interesting considering Seoul acquired ​former Gladiators player Baek "Fissure" Chan-hyung. The Dynasty lost the first map, Ilios, but rallied back strongly in King's Row and Horizon Lunar Colony. The last map of the night, Route 66, went into a few extra rounds but ended with Seoul confidently taking another victory. The Hangzhou Spark's debut stage took place Thursday against the Shanghai Dragons, who went Season 1 ​without a match win. 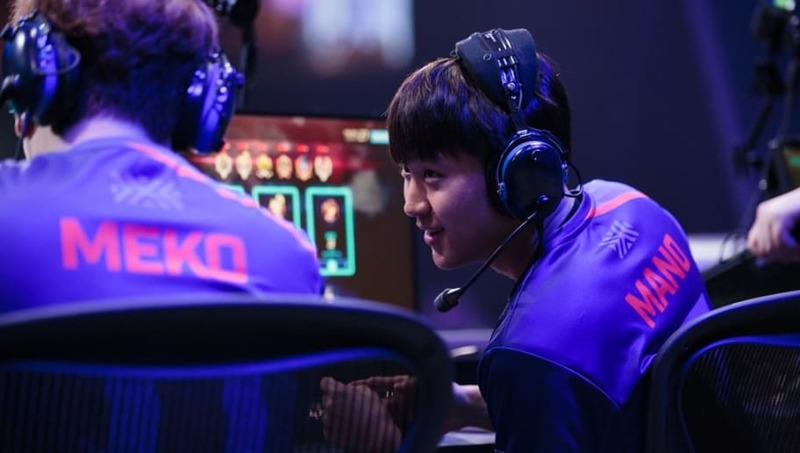 The Dragons recently signed ​Noh "Gamsu" Young-jin from the Boston Uprising and the newest tank player seemed to help the Dragons have a better chance during fights, but it ultimately was not enough. Shanghai put up a fight in the first two maps, and managed to win Horizon Lunar Colony, but the Hangzhou Spark secured Rialto in the end and established itself as a team to look out for. Week 1 Day 2 will continue Friday. Fans can also score ​Overwatch League tokens by watching the game's through Twitch.